1. 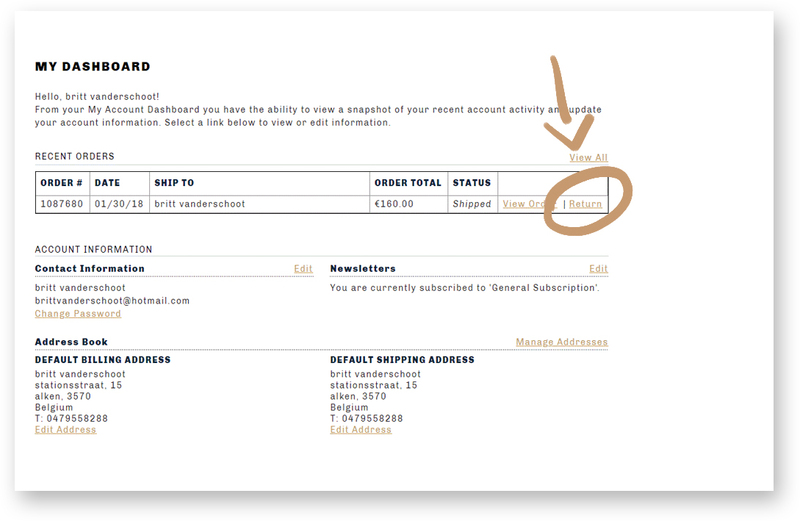 Sign into your account and under MY ORDERS find the order number and select the RETURN option. 2. 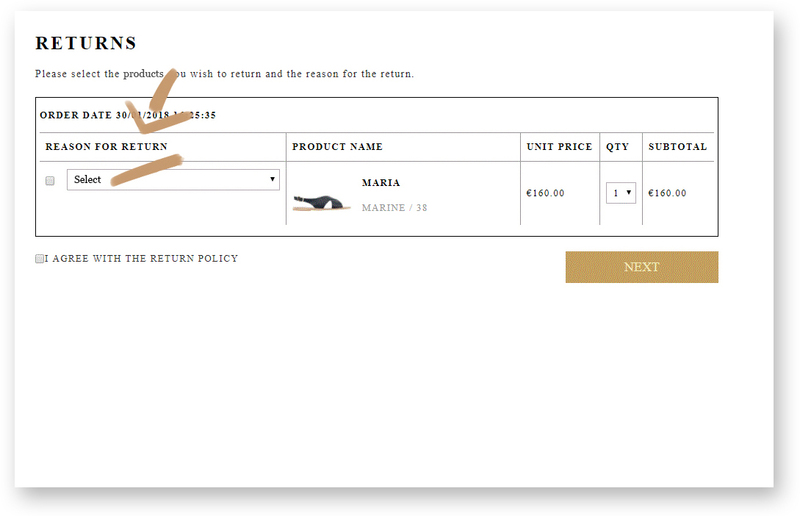 CLICK on the items you wish to return and choose the REASON of return. If you would like to exchange an item choose your replacement size. 3. PACK the item with ALL THE TAGS ATTACHED and the ORIGINAL PACKAGING included. 5. TAKE your package to the local POST OFFICE.